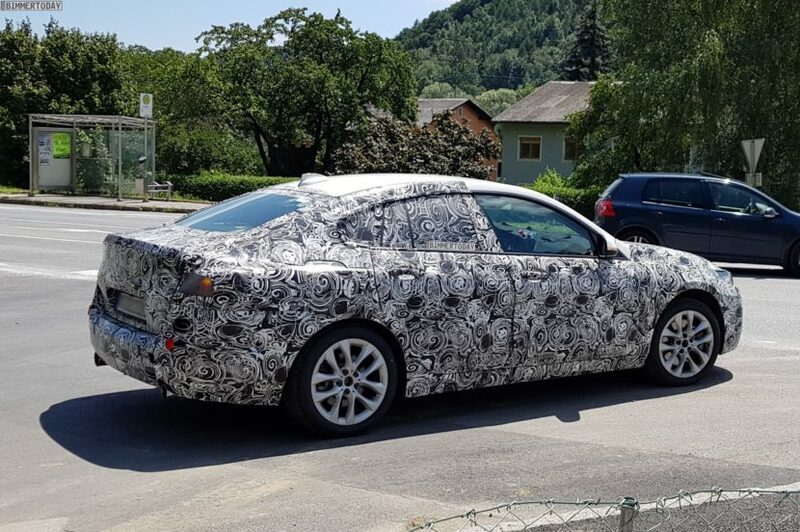 We just recently saw some spy photos of the upcoming BMW 2 Series Gran Coupe and they weren’t exactly met with great enthusiasm by our readers. That’s because the upcoming four-door 2er is essentially the BMW-fan Antichrist, being that it’s front-wheel drive-based and has the styling of a KIA. In reality, it won’t be all that bad and actually could be a lot of fun. Audi Express just put together some interesting facts and tidbits about the 2 Series Gran Coupe. So let’s take a look. For instance, the entry-level engine will be BMW’s 1.5 liter turbocharged three-cylinder, making 148 hp. That might not seem like a lot because, well, it isn’t. However, that could actually be a lot of fun, depending on the weight and handling of the 2 Series Gran Coupe. The little turbo-triple found in some modern BMWs and MINIs is actually a surprisingly fun engine, with a buzzy character. Those power junkies among you, a 2.0 liter turbo-four will be available as well with a whopping, eye-watering, hair-raising 248 hp. That’ll get your blood flowing. Sort of. While we know that there will be front and all-wheel drive variants, we don’t know much about any performance variants. There most certainly won’t be an actual M Division variant, as BMW M has said definitively that there will never be a front-wheel drive M model. However, there may be an M Performance model to take on the Audi S3 and Mercedes-AMG A45. It could be similar to the BMW X2 M35i, which makes 302 hp from its 2.0 liter turbocharged engine. That would put it right in line with the rest of its competitors. There’s a lot of hate for front-wheel drive cars among BMW enthusiasts. But that hate is often misguided. There are a ton of genuinely special front-wheel drive cars, cars that can be as much fun as anything rear-driven. Cars like the Volkswagen GTI, Ford Fiesta ST and MINI Cooper are all great examples for incredibly fun cars that power only their front wheels. So there’s no reason why the BMW 2 Series Gran Coupe can’t be a ton of fun.